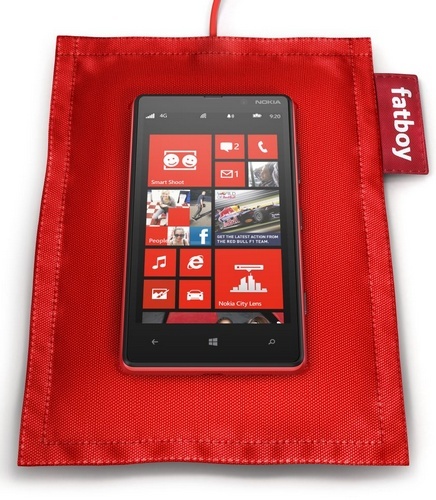 Nokia’s new Lumia devices offer some great new features. 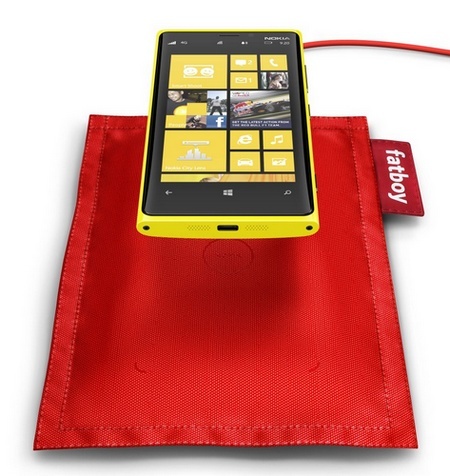 Not only new camera and display technologies are built into the Lumia 920 (or 820), but also wireless charging. Sure, wireless charging is nothing that new. Palm used this technology some years ago already, but Nokia has a much greater chance of taking the technology mainstream, and it is of note that now Samsung, LG and HTC now use it too, but not with as much promotion. For charging your smartphone wirelessly Nokia offers several ways. 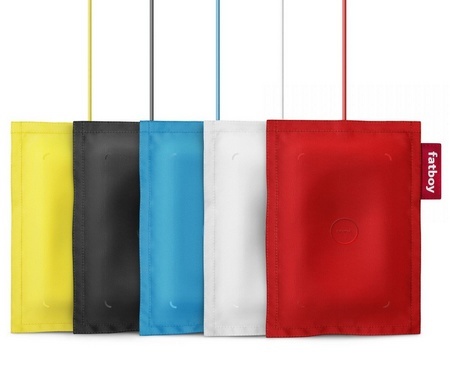 One way is the wireless charging pillow, the others are the wireless charging plate (which is actually pretty much the same as the pillow…) and the wireless charging stand with NFC built in. I will now take a look at the pillow. As I mentioned, the pillow is actually pretty much the same as the charging plate. Why? Because the pillow is just something to put over the plate, means in the package there is the normal charging plate and the pillow, which gets pulled over the plate. However, the pillow (made by Fatboy) is high quality. The material feels great and the seams are sewn very well. The pillow is filled with a soft material, making it a real pillow and not only a piece of textile. Because of this you can easily lay it next to you on the couch next to your other pillows without getting annoyed by the thick, short USB cable or your phone. If you turn the pillow around you won’t notice your phone anymore and it looks (and almost feels) like a normal pillow. Anyways, I personally don’t know if this is worth $80, because that is the premium you pay when getting the pillow instead of just the plate, but I guess it is up to the buyer to know if laying your phone next to you on the couch or bed is worth $80 instead of just laying it on the table with “only” the plate. The plate is made of plastic and feels a little bit cheap (maybe because it is so light?). However, it looks great and the color is exactly like the phone’s as well. On the front there is a little LED light which lights up when it is charging. Unfortunately the plate does not stop automatically when the phone is finished charging. Anyways, the comfort you get with wireless charging is indescribable! It may sound exaggerated, but once you have the option to charge your phone wirelessly you don’t want to go back to the old way of charging… After work, or school, or whatever, you just need to put your phone on the plate and it starts charging. No plugging in and out, no annoying cables. And charging doesn’t even take much longer! I did not measure the time, but there is definitely not a big difference. I really fell in love with wireless charging… too bad my pillow is just for testing and I have to give it back. The comfort wireless charging offers is great. Without plugging in you just need to put your phone on the wireless charging plate, and it does not take much longer to charge. With the pillow you can also lay your phone next to you on the couch or in bed because it is filled with a soft and nice material. If you turn around the pillow, you don’t even notice it is a charger and it looks and feels like a normal small pillow. However, I doubt this is worth $80 more than what you pay for just the plate.